Edited by Jason Moore (NASA Langley Research Center, USA). El Segundo, Calif., April 11, 2011-After only four years of existence, a segment of the microelectromechanical system (MEMS) market known as new MEMS-specifically for consumer electronics (CE) and mobile handsets-will grow by a remarkable 157.4 percent in 2011, powering the expansion of the overall MEMS industry, according to new IHS iSuppli research. 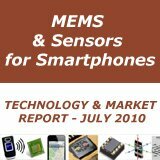 Revenue this year for new CE and mobile MEMS devices will reach $457.3 million, up by more than a factor of 2.5 from $177.6 million in 2010. A category including devices such as 3-axis gyroscopes and pico projectors, the new MEMS segment did not even exist in 2006. However, growth has been nothing short of explosive after the category was devised in 2007 to differentiate the segment from that of older, established MEMS. 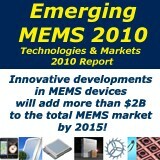 By 2014, new MEMS will generate revenue of $1.4 billion, as shown in the attached figure below. 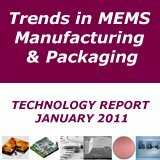 "New MEMS are at the heart of many of today's most exciting and fastest-growing electronic products, from motion controlled video games, to tablet navigation systems, to tiny projectors embedded in smart phones," said Jйrйmie Bouchaud, director and principal analyst MEMS and sensors for IHS. "This is driving fast revenue growth both for the new MEMS themselves and for the overall MEMS market." Compared to the triple-digit growth rate of new CE and mobile MEMS, the established MEMS segment is poised to expand only 10.4 percent this year. 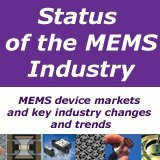 With older products like accelerometers and single- or dual-axis gyroscopes in its stable, established MEMS will continue to produce bigger revenue overall, but growth as a whole in the next three years will be confined to the range of 9 to 12 percent. Meanwhile, expansion rates for new CE and mobile MEMS will amount to a hefty 31 to 62 percent from 2012 to 2014. The net effect of such rapid growth is to increase the portion held by new MEMS of the total CE and mobile MEMS revenue pie. 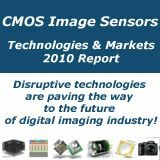 As a result, new MEMS in 2014 will account for 39.5 percent of overall revenue-a far cry from the 0.2 percent share in 2007 when the segment earned just $2.4 million. 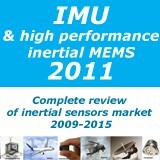 Without the revenue contribution of new MEMS, IHS believes, overall growth in the MEMS space will be dependable but merely stable at best. Among new MEMS devices, 3-axis gyroscopes are most likely to take a star turn. Found in the likes of the iPhone 4 from Apple Inc. and the Move remote controller for the PlayStation 3 from Sony Corp., 3-axis gyroscopes feature prominently in applications for smart phones and gaming, with motion recognition functions benefiting greatly from the use of the new MEMS component. 3-axis gyroscopes also can be found in other consumer electronic devices, such as tablets like Apple's iPad 2, Samsung Electronics' Galaxy Tab as well as in every new tablet; the new 3DS handheld player from Nintendo Corp.; portable media players like Apple's iPod Touch Fourth Generation (4G); and new smart phones from Samsung such as the Nexus or from LG Electronics like the Optimus. In addition to 3-axis gyroscopes, new MEMS technology is used in tiny pico projectors that are so small they already are embedded in phones or cameras. 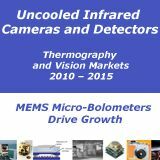 Another application of new MEMS can be found in the tiny actuators used for the autofocus function in cameras, packed in a small form factor but able to capture high quality images. Use code: A307H for your Free Expo Pass & to secure the best pricing available for the 2011 event! Up to $200 off Conference Passes when you register in advance. Sensors Expo Floor: Unlimited access to the LARGEST showcase of sensing technologies and systems to evaluate and make informed decisions. Energy Harvesting Pavilion: Featuring the most cutting-edge technologies and solution providers in energy harvesting and power management. MEMS Pavilion: NEW in 2011! This Pavilion consists of players in the MEMS space who provide best-in-class MEMS technologies and solutions. 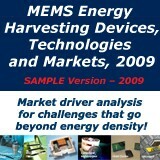 MEMS Innovation Area: NEW in 2011! This specialized area within the MEMS Pavilion is dedicated to companies that are on the cutting edge of strategic MEMS products. Back for 2011! Access to the co-located ESC Chicago floor, showcasing top vendors in the embedded industry! Technology Update Theater: Presentations and free education on the Expo floor! Best of Sensors Expo 2011: Learn which new products the editor of Sensors believes will have the greatest influence on sensing technology! 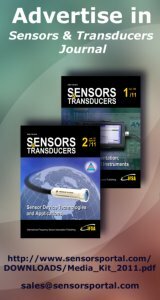 Register today & Save at www.sensorsexpo.com. Use source code: A307H for a FREE Expo Hall Pass & Gain Access to ALL of the Above! You can always upgrade to a Conference Pass at a later date!